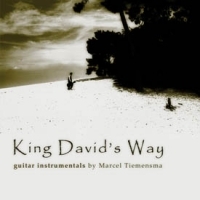 On this album Marcel Tiemensma vividly displays his beautiful hymn arrangements through the Spanish guitar. It is a gentle yet piercing and transformative album. Marcel brings together the 'old world' guitar styles (Classical, Latin, Flamenco, Spanish) and all the beauty, texture and rhythm found there. You certainly will enjoy this peaceful album and will come to know 'King David's joy'.